Pop Wuj's educational support centre (also known as the Family Support Centre or the Guarderia) is located in Llanos del Pinal at the base of the Santa Maria volcano. At the time I was there, there were thirty-nine students at the centre, between the ages of three and nineteen, although some of the older students depending on their school schedules did not attend daily. Most of the students visit the centre in the afternoon, after attending primary school. At the centre, they receive a hot snack and lunch, as well as homework support from the staff, or, from students studying Spanish at Pop Wuj who come in to help out. Above, Travis participates in a yoga class with Ame and Jonathan. Various national holidays and special days are celebrated throughout the year, such as Dia de Nino (Day of the Child), Dia de la Independencia (Independence Day) which is coupled with the mini-feria (MIni-Fair), Thanksgiving, Christmas, and of course, children’s birthdays. At the centre, birthdays are celebrated quarterly and include games, piñatas (of course), sugar laden birthday cakes, birthday presents, and gift bags for every student. It brought me such happiness to see the large smiles beaming across their faces, their mouths covered in icing. Can you imagine how much money parents would save, if we had more collective birthday parties for children in Canada? 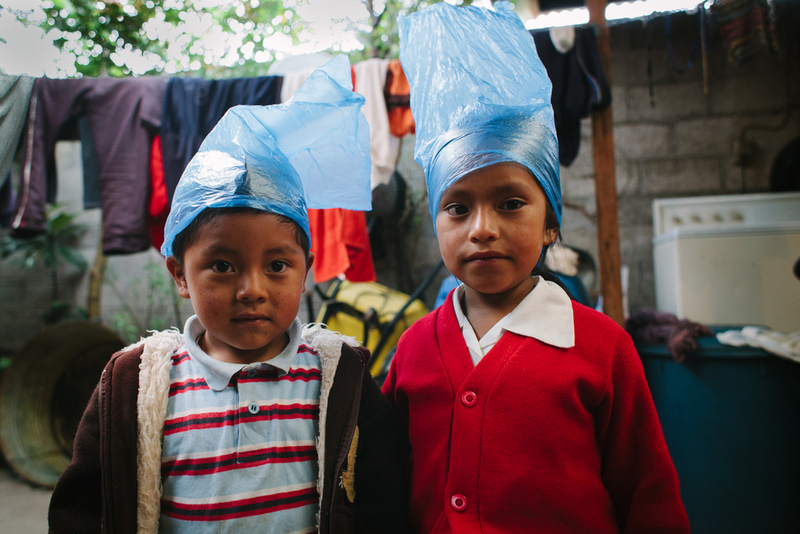 We celebrated el Dia de Niño with presents for every child and two large piñatas stuffed with peanuts and candy. It might start sounding like all we do is hand-out presents, but perhaps the term is being used to loosely. In some cases, a present might be something as simple as a pencil or a pack of crayons.